Lots Of Halloween Energy? Try Some Halloween Energizers! I remember the excitement I felt around Halloween as a kid. As a teacher, I tend to live more vicariously through my students now. 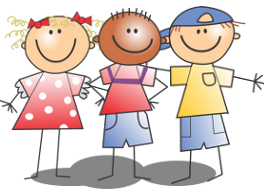 As fun as it is to see students excited, it also can be challenging to keep them focussed and motivated. I find movement breaks can help. In this blog post I will share Halloween movement break videos (see the playlists embedded below), I will walk through how to create and edit YouTube playlists and how to save playlists made by others. At the end I will share how I try to minimize distractions when using YouTube. Thanks to M.F., S.M., and A.K. for their suggestions! Movement breaks are a regular part of my classroom routine. During exciting times of the year, I use them even more. To help me access them quickly, I create YouTube playlists. This is helpful because it helps me organize the videos and then I have them ready to go year after year. I also like making playlists because often the videos are too short for what I want. For example, my Halloween physical education lesson is often done in class as the gym is often closed. If I want to have the dance portion of my lesson to be 20 minutes, I create a playlist that links a number of dances together. I still have the option of pausing or skipping a video. 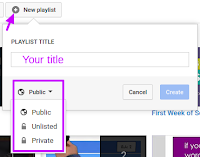 To create a YouTube playlist you will need a YouTube channel. If you have a Google For Apps for Education (GAFE) account, you will probably already have a YouTube account. You may just need to activate it. When you go to YouTube.com, look in the top right hand corner. You will either see a blue sign in button or your avatar/icon for GAFE (this indicates you are already signed in). Tip: If you do not have time to create a playlist, you can find the videos you watched most recently by going to "History" on the left side panel. If you want to create a playlist, there are different ways you can go about it. 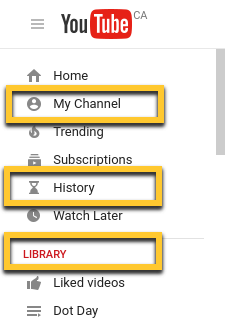 One way is to select My Channel or Library on the left. I suggest selecting "Library". Then you will have the option to make a new playlist. The new playlist button will have a plus sign. You will be prompted to make a title. Also consider if you want your playlist available to others. You will see a globe with the word Public and an arrow. Public means anyone can search for and find your playlist. Unlisted means it is not searchable but anyone with the link to your playlist can use/view it. Private means only you can access/view the playlist. Note the default is Public and you have to select drop down menu to see the options. You can delete you playlist from this page. Select the three dots on the right. You can change your playlist from Public to Unlisted to Private here at anytime. You do not need to know the videos you want to add yet. If you do know the video(s) you want to add, select add video button and follow the instructions. 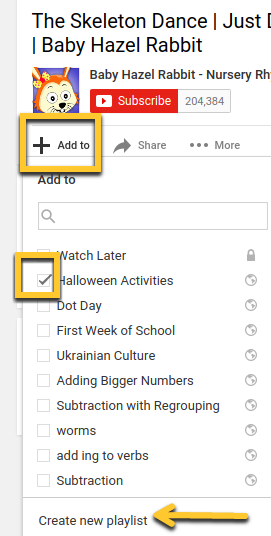 If you do not know all the videos you want to add yet, you can leave your playlist settings page (no need to save) and start searching videos. When you find a YouTube video you like, you can add it to one or more playlist you already have. If you are like me, and have many playlists, you may want to use the search tool (box with magnifying class under Add to) to find the playlist quickly. You can create a new playlist within this option, as well. The create new playlist option is at the very bottom of the drop down menu. Depending on what/how you are using your playlist, you may nor may not care the order the videos appear. YouTube will play the videos in the order you have added them to your playlist. If you wish to change the order, you will need to go into your playlist settings. To access the playlist settings, select library (left hand menu). You may see the playlist you have been working on underneath the word library (click on the playlist). If not, click on library. You should see your created playlists on the right-hand side. Select the playlist you want to edit. You can click and drag the videos by selecting and holding the small bar on the left-hand side of each video. When you click on a video in your playlist, a drop down menu will appear on the right. It will say "more" and an X will be to the right of the menu. The X is how you delete a video from a playlist. 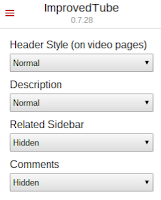 The drop down menu gives you the option to move the video to the top or bottom of the playlist, to edit/add notes about the video or set the video as the thumbnail for the entire playlist. It is useful to look at your playlist before you used it each year. Over time videos get deleted for a number of reasons. Your five video playlist from 2016 could end up being only two videos in 2017. 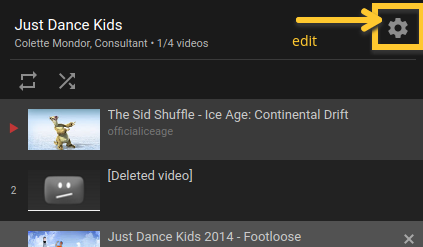 Remember you can delete videos from your playlist. You can access the edit features when playing your playlist by going to the gear in the top right corner. If you want to use someone else's playlist, you can! You will have no control over the playlist but you also do not have to spend time creating it! To find a playlist, include the word playlist in your search terms. Select view full playlist to check out what videos are included. When you select save playlist, it is added to your library. To accessed any saved playlists, simply select the library option on YouTube's menu. You will see all your saved playlists under the ones you have created. Using the extension ImprovedTube helps with some of the distractions that come with using YouTube. As it is an extension, once you install it, it will be available from your Chrome browser (to the right of the omnibox). You will have to select the setting you want to use. 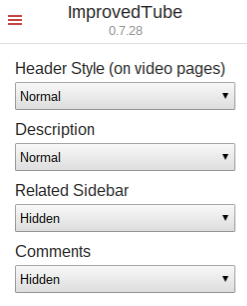 Click on the ImproveTube extension icon and you will get a dropdown box. I suggestion looking through all the settings. I use the options under Appearance Settings. I hide the related sidebar and I hide comments. Under Player Appearance I select Start In Large Player for player size. This post is by no means exhaustive for how to use YouTube playlists. Please share your YouTube tricks or treats in the comments. Or share your favourite Halloween videos or playlists! YouTube has a page on getting you started with playlists. Rutherford Gets Its Google On: YouTube Playlists - a short video I made to show how to make playlists. GoNoodle Brain Breaks, Many Possiblities - GoNoodle is great for movement breaks!